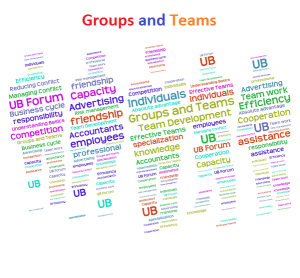 Groups and Teams: Increasing Cooperation and Reducing Conflict Groups versus.. When individuals come together they form a group, this group can be formal for doing something constructive or informal for pleasure like friendship. A formal group is usually seen in organizations where they are directed to achieve some common objective like organizational goals. However a team is a way ahead than groups because a team works like a unit and they put their combined efforts in achieving the targets which is more effective and efficient as compared to group because in group people give their individual efforts. This fact was proven by many organizations which let teams get developed to pursue common goals. Teams can be identified on the basis of their purpose like advice, production, project or action. A group develops into a team after going through five development stages of forming, storming, norming, performing and adjourning. The first stage helps the group to get oriented and acquainted with all the members and at this time the leader should let the group socialize so that they can make a bond. In the second step the group’s personalities become clear, roles are defined and individual conflict becomes clear. In the third stage the group interacts and the conflicts are resolved, this stage helps the group to make bond with each other to create harmony and unity among the members. 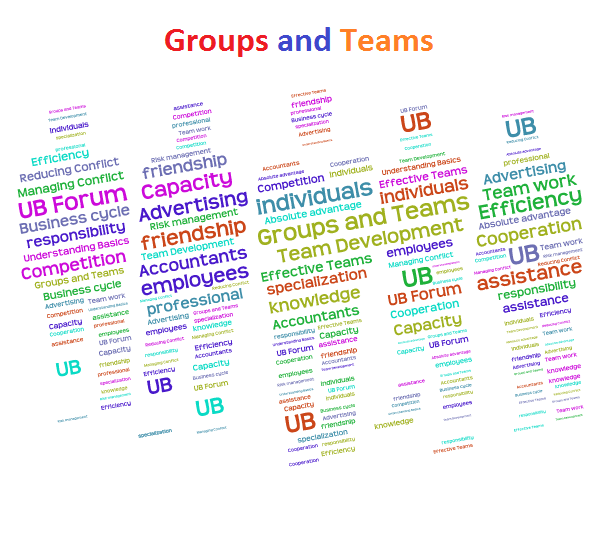 At this stage the group can be defined as a team because an association of members of the group has been developed which are motivated from within to achieve the set targets as a unit. In the fourth step, the group is in its performance era where it is expected to achieve the set targets or find solutions to the problem by working together. In the last stage of development the group is carefully disbanded considering the associations the team members have developed for each other while working together and they are given a chance to say goodbye to each other. When teams are built then the responsibility of their effectiveness relies on manager, which can be achieved by considering the performance goals and feedback, motivation through mutual accountability, size, roles, norms, cohesiveness and group thinking. These techniques help the manager to administer the motivation of the team so that when task is assigned to the team they can work efficiently and diligently to face the challenges like market changes, technological advancements, and social and political. When people get together in a working environment then it is normal to expect some conflicts rising among them which are usually based on personality, group and cultural differences. It is manager’s responsibility to address these conflicts with care and do not let the conflict develop into a negative for and use different measure like spurring competition among employees, changing organization’s culture and procedures, bringing outsiders for new perspective and by using programmed conflict to create constructive conflict and better working environment.